What a better thing for these 23rd Choralies than a trip to Broadway to celebrate choirs and show? For this exceptional and unprecedented evening, La Brénadienne and SoLaRé gathered their passion, their creativity and their audacity to offer to the audience an singular show. 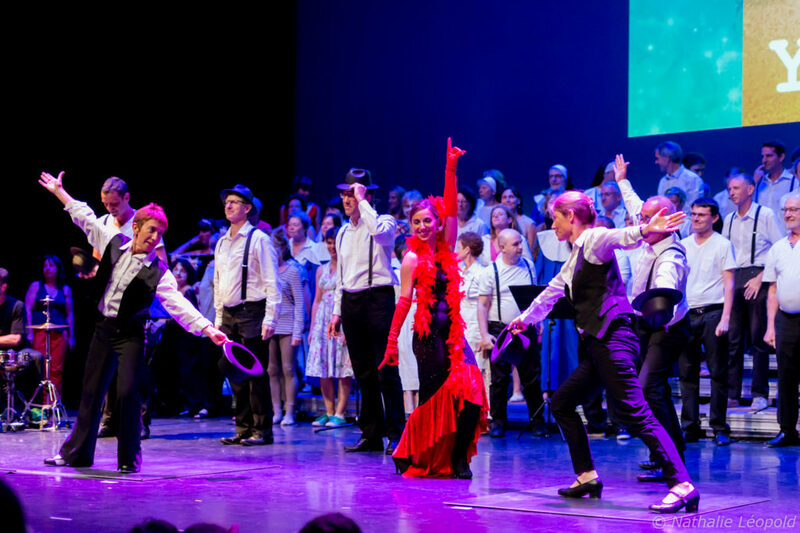 Under the direction of Denis Thuillier and Xavier Stouff, the choirs of children, youth and adults of the two associations sing and dance « Singing in the Rain, Cats, Rent, Mama Mia, the Lion King » and many other successes that illuminated the famous New York Avenue.